If you live in the Dubbo/Gilgandra parish area, or if you regularly worship at these Churchs, you are welcome to be baptised here. 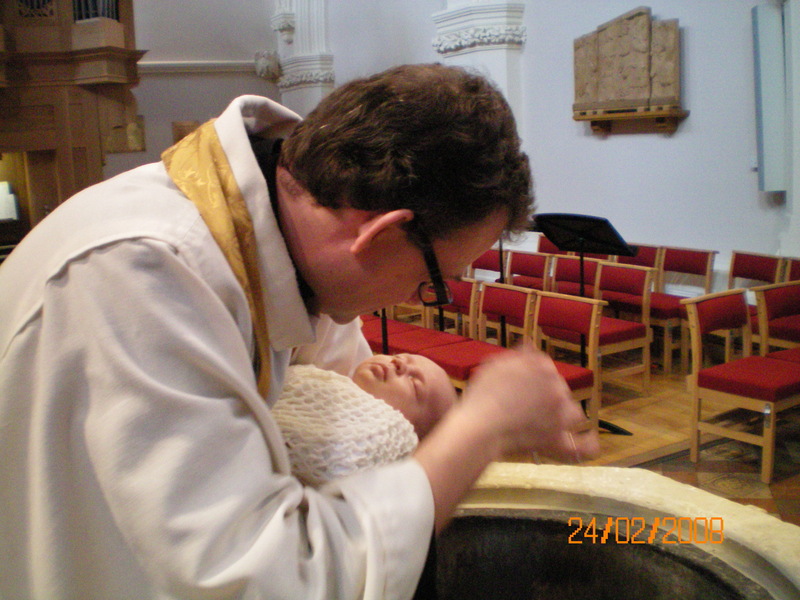 Children and babies are generally baptised on Sundays at a regular service, which starts at 8.45am. Adults wishing to be baptised will usually be baptised and confirmed by the Pastor following a period of preparation. 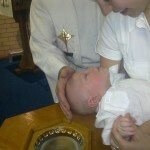 Baptism is a most precious and holy Sacrament of the Church. In baptism we are born again into a new and close relationship with God through participating in the life, death and resurrection of Jesus Christ. Baptism is a gift from God to his people. 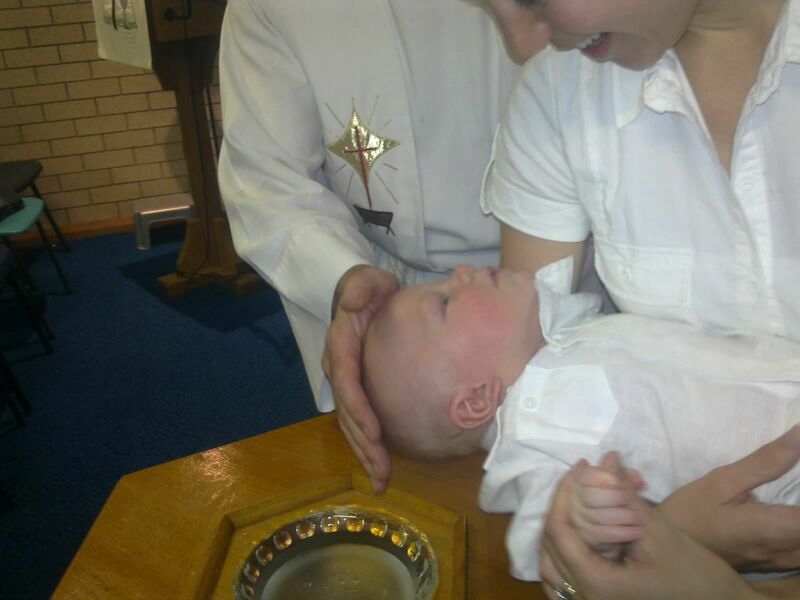 In baptism we begin our lives as Christians in the Church; it is the responsibility of parents and godparents to give children who have been baptised as babies the opportunity to learn more about their faith, to learn to go to church and present themselves for confirmation. Confirmation is a public affirmation of faith; the Pastor comes and lays his hands on our heads, and admits us to the sacrament of the Holy Communion. Godparents should therefore be chosen with some care. Think about whether you have someone amongst your relatives, friends or acquaintances whom you trust, and who has a live link with a church. 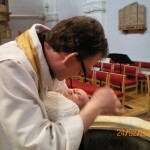 It does not necessarily have to be a Lutheran Church; While we encourage Lutheran godparents, they may be affiliated with any mainline Christian church who teach and practice infant baptism. At St Mark’s we have a “Jesus and Me” class for children. If you are interested in placing your child there, please come and talk to the Pastor or join us for one of our regular services and have look at what ‘being part of the church’ means. There is no set fee for baptisms in the Lutheran Church. If you are planning to have your child baptised at the 8.45am service, it is expected that you will be present at the Service on at least one other Sunday sometime before your baptism. We are very much looking forward to welcoming you to St Marks or St John’s. You can definitely see your enthusiasm in the paintings you write. The arena hopes for more passionate writers such as you who are not afraid to say how they believe. Always go after your heart. Having read this I believed it was rather informative. I appreciate you taking the time and effort to put this short article together. I once again find myself spending way too much time both reading and commenting. But so what, it was still worth it!